(UK/ Merseyside/ Birkenhead) marine firm SeaKing Group has supported Cammell Laird in a major refit involving one of the Ministry of Defence’s largest vessels – The Royal Fleet Auxiliary Fort Victoria. The 30,000 tonne Auxiliary Oiler Replenishment (AOR) ship entered a one-year re-fit period in September 2017 to extend its operational lifespan to the late 2020’s. Wide-ranging work was carried out to ensure full compatibility with the International Maritime Organisation (IMO) MARPOL regulations. Improvements to the Replenishment at Sea (RAS) equipment will now enable the vessel to replenish the new Queen Elizabeth Aircraft Carriers. Meanwhile, an upgrade to the Bridge section will ensure a modern approach to naval navigation. SeaKing Group Managing Director Dave Gillam said the firm was initially tasked by Cammell Laird and the MoD to provide a feasibility study which would later form the basis of the Bridge design. “After carrying out a full inspection of the Bridge area we submitted a series of options to the MoD ranging from minimal work to a complete overhaul of the layout with significant changes to the ship structure,” he said. “The decision was then made to strip the entire interior of the Bridge back to its shell and replace it with a more efficient layout. Alongside other nominated sub-contractors, SeaKing was also tasked with full system integration within the Bridge section. This included the set up and synchronisation of key equipment such as steering gear, signals and controls, wind speed and direction, gyro inputs, ships speed log, pitch and roll, ships AIS, voyage data recordings, main engine and propulsion signals, new NVG compatible navigation lighting and associated controls, and numerous other naval communications systems. Additional work involved the design, manufacture and installation of a new deck lighting control system. This was achieved with an HMI Touchscreen providing automated control. On completion of the project SeaKing received commendations from both RFA Superintendents and OEM Directors on the level of diligence, workmanship and effort to complete a specification which was not fully developed at the outset. Mr Gillam said the project added to the firm’s world class military marine portfolio further and further strengthened its long-term partnership with Cammell Laird. Merseyside based maritime engineering company SeaKing Electrical has won a tender from Cumbria County Council to repair the electrics on the council-owned car ferry the Mallard following a fire earlier this year. The ferry’s engine room caught fire in March following a hydraulic leak causing an evacuation of 80 people from the vessel while it was operating on Lake Windermere in England’s Lake District. The Mallard has capacity for 100 passengers and 18 cars. SeaKing Electrical managing director Dave Gillam, pictured above, said following a damage inspection of the vessel it was clear a complete rewiring job was required together with the installation of a new engine. Mr Gillam said the electrical works required are extensive and a whole new electrical system has been designed to meet inland waterways regulations and an inspection by the Maritime Coastguard Agency (MCA). Mr Gillam said a PA system is being put in place to allow messages and safety announcements to be broadcast in the passenger accommodation and car deck. A cut-out facility will be provided to allow media systems to be over-ridden when a safety announcement is made. This latest job marks a busy year for SeaKing Electrical. The company has worked across the UK and Europe on naval ships, superyachts and ferries.SeaKing presently employs more than 100 engineers, including a vibrant apprenticeship programme. SeaKing has a turnover of more than £8million. The Seakinggroup continues to provide global Electrical support to the marine sector in 2018 with a cruise ship interior upgrade in Cadiz and superyacht projects in Cartagena, Genoa, La Ciotat, Barcelona, Miami, Antigua and Croatia. Seaking Electrical technicians replaced a Power management system on a 50m superyacht during its recent refit. Other works carried out included Calibration of the tank gauging system and replacement of the 24v charging system. SeaKing has attended the Monaco Yacht Show following a busy period of business development at maritime trade fairs across the globe. The firm set sail for the show at Port Hercules, in Monaco, from September 28 to October 01. SeaKing group business development manager Neil Mellenchip said: “The Monaco Yacht Show (MYS) is one of the largest mega yacht events on the globe. It saw the iconic Port Hercules transform into an international hub of high-level superyacht business for four days. ”The MYS docks saw exhibits from more than 500 world leading luxury yachting companies, superyacht yacht designers and builders, brokerage houses, nautical suppliers, refit shipyards, service providers including tenders or yachting federations and associations. More than 30,000 professional visitors, business decision makers and high net worth individuals attended. “The show provides a unique opportunity to visit an outstanding fleet of custom-made superyachts & mega yachts from 25 to 100 metres long,” said Mr Mellenchip. “It is a terrific platform for SeaKing to communicate the services and key benefits we can offer this sector. A number of specialist projects have seen the SeaKing team completing work on cable laying vessels and specialist nuclear cargo carriers. SeaKing recently worked aboard the Wave Sentinel cable layer at Portland, upgrading the Fire Detection system. The work was carried out for Global Marine Systems saw the firm commended for delivering and completing the works ahead of schedule demonstrating a number of SeaKing’s key strengths in speed and flexibility. Major installations of new and modern systems have also been completed both alongside repair berths and within comprehensive dry dock projects covering a range of system including underwater lighting, propulsion systems, engine alarm and monitoring as well as survey, test and reports on the main electrical systems. SeaKing Group Business Development Manager Neil Mellenchip said “These are very interesting contracts to work on which really showcase the range of services we offer the discerning super yacht sector, and is a key growth sector for us,”. “Upgrade projects on superyachts are often complex and demanding and SeaKing has fast developed a track record for problem solving and we are now witnessing an increase in demand for our services through complimentary references throughout the sector. Our experience in the superyacht market is broad and includes a range of services, from Bridge integration, Power generation, Propulsion, automation, earth monitoring systems as well as CCTV and Security systems, On one project we were responsible for upgrading the on board Crestron control, media distribution and entertainment network with a brand new KNX system, WIFI, and advanced DALI lighting system. Alongside Cammell Laird and A&P SeaKing has completed a raft of maintenance and repair contracts in recent months on many ships of leading ferry operators including Caledonian MacBrayne, IOMSP, P&O and DFDS Seaways. A recent project saw SeaKing replacing all the winch fwd and aft winch control stations and controllers with all works being pre-planned to enable completion within the short term dry-docking period. SeaKing has built a strong reputation in the ferry market in particular delivering green technology aimed at reducing vessels’ carbon footprint, with a number of ships being fitted with modern technology including LED lighting and the fitting of variable speed drives (VSD) for seawater pumps and Ventilation fans. SeaKing Group Business Development Manager Neil Mellenchip said “Efficiency savings are now a vital part of business plans for marine companies and our drives and lighting solutions not only cut costs but also reduce harmful emissions from vessels,”. Controlling flow via mechanical devices such as bypass valves and air dampers is both inefficient and expensive to maintain especially as the motors often operate at full capacity even when not required, therefore by integrating and automating the VSD controls into the original control system it enables the operators to control the speed of these pumps according to demand, reducing fuel and energy use as well as cutting CO2 emissions. The ship/ project bespoke panels are built at SeaKing’s manufacturing plant in Birkenhead and installed at ports across the globe. With an estimated payback period of less than two years it which shows their value to ferry operators. SeaKing has also committed many hours into researching the developing LED lighting market to be able to determine and offer the best equipment and solutions for each individual project again helping operators cut costs and meet international environmental targets. SeaKing has completed work as part of a sensitive restoration project for the historic Daniel Adamson steamship. Working with volunteer partners including Cammell Laird shipyard, SeaKing delivered a package of key design and installations to complete the new Electrical system, including new a new generator to provide power distribution system for both AC & DC. Further work included installing internal and external deck light fittings whilst sympathetically maintaining the vessels traditional appearance, this also included remanufacturing of the port and starboard wheelhouse consoles and fitting modern equipment to ensure the vessel complied with SOLAS regulations nut maintaining the original appearance as far as practical., further upgrades were delivered to the vessel’s alarm, PA, CCTV, fire detection and navigation systems. The restoration work, part of a £3.8m Heritage Lottery Fund award and with support from the Mayor of Liverpool included refurbishing all the brass work and intricate woodwork including returning the saloons to the 1930s styles. The SeaKing Group has installed a new digital wireless communication system on board a Ministry of Defence vessel. Managing director Dave Gillam said the firm was tasked with delivering strong and continuous wireless communication links throughout the vessel. Mr Gillam said The SeaKing Group carried out extensive technical trials using a Clear-Com FreeSpeak II system before installing the technology. It marks the first installation of a Clear-Com FreeSpeak II system on board a vessel and is set to be repeated as The SeaKing Group embarks on a second installation project aboard a second grey ship. “The MoD requires clear communications for its engineers working in engine rooms and machinery spaces,” he said. “This is a challenge faced by many vessel operators who traditionally use magnetic loop, conventional radio or infra-red solutions. But these all come with limitations. The SeaKing Group was tasked with delivering an efficient, reliable and dynamic solution. “After evaluating many potential options we carried out a series of high-level technical trials using the Clear-Com communications software. We found it had the ability to maintain a reliable wireless connection across particularly challenging radio frequency terrain – for example the engine rooms, which are essentially large metal boxes packed with machinery. The system delivers crystal-clear digital audio no matter where we tried it, from bottom plates to the funnel space. Clear-Com FreeSpeak II can operate as a standalone system, with up to 20 full-duplex wireless beltpacks connected to one base station. As an integrated solution, where beltpacks are connected to a Matrix frame, up to 50 user connections can be achieved. Active antennas provide a beltpack to base station distance range of up to 1,000 metres. Mr Gillam said FreeSpeak II is a high-performance wireless intercom system which operates in multiple world-wide frequency bands. It is designed for extensive communication in large-scale operations. Its ability to maintain a strong wireless connection across an expansive coverage area makes it an ideal roaming solution for a number of applications outside the maritime sector including live event, broadcast, sport production and industrial. Valmet has entered into a marine automation partnership with The SeaKing Group, a marine and industrial electrical engineering company based in the Liverpool region, UK. 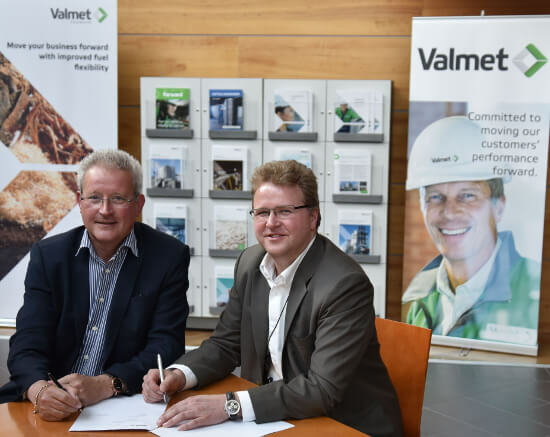 According to the agreement, The SeaKing Group will become an official distributor for Valmet’s automation services to the maritime industry in the UK. The SeaKing Group’s role will involve a professional first-line response operation that provides highly skilled engineers to install and maintain Valmet’s automation systems. The company can also support Valmet with supply chain management, leading teams of subcontractors and coordinating projects. “By joining forces with the SeaKing Group, we will be in a better position to participate in marine automation projects both in the new build and retrofit business in the UK market. Valmet has strong automation expertise and advanced technology, which we can now combine with our new partner’s excellent local contacts and experience,” says John Weierud, Director, Marine Automation, Valmet. “This partnership will play a vital role in the development of new skills and broaden our understanding of progressive technologies that bring benefits to customers. The Valmet brand association also greatly helps open up new business opportunities in international projects,” states Dave Gillam, Managing Director, The SeaKing Group. The SeaKing Group has secured a transatlantic service agreement with one of the world’s leading manufacturers of green technology for the maritime sector. The Birkenhead and Aberdeen business will be supporting Hyde Marine Inc. with its delivery of Ballast Water Treatment Systems (BWTS). Hyde Marine is based in Pittsburgh, Pennsylvania, US, where the company designs and manufactures the Hyde Guardian GoldTM BWTS that combines efficient filtration and Ultraviolet (UV) disinfection of seawater. It is a wholly owned subsidiary of the New York Stock Exchange listed Calgon Carbon Corporation (NYSE: CCC) – a global leader and innovator in purification technologies for water and air. SeaKing managing director Dave Gillam said the “green water” systems are set to play a major role in the global shipping sector. The systems prevent the spread of invasive maritime species which is recognised as one of the greatest ecological threats to the planet. Mr Gillam said the International Maritime Organisation (IMO) is set to enforce a convention making it mandatory for vessels worldwide to carry out ballast water management procedures. The convention will enter into force 12 months after ratification by 30 states, representing 35pc of world merchant shipping tonnage. To date, 38 states with an aggregate of slightly more than 30pc of the world’s merchant fleet tonnage have embraced the convention. “The SeaKing Group has been appointed as an official partner to Hyde Marine and will be offering support on a global scale,” said Mr Gillam. “We will be delivering a broad range of services including survey, installation and maintenance for BWTS. This strategic service agreement will involve sending specialist SeaKing teams to docks around the world. Our work will support Hyde Marine with the surge in business which is expected following ratification of the IMO convention. The SeaKing Group business development manager Neil Mellenchip said members of the firm have recently returned from Miami following several meetings with Hyde Marine. “We are delighted to be working in this highly interesting area of the maritime market, which has global importance,” he said. “The transfer of marine species within ballast water is causing enormous and irreversible damage to the environment. Hyde Marine specifically uses UV technology which minimises any negative effect on the environment without the use of chemicals. Calgon Carbon Corporation acquired Hyde Marine as part of its Ultraviolet (UV) Technologies Division in 2010. This acquisition combined the considerable worldwide drinking and wastewater treatment expertise of Calgon Carbon with Hyde Marine’s many years of experience in shipboard ballast water treatment systems. Hyde Marine has now sold more than 325 Hyde GUARDIAN BWTS, delivered more than 225, and commissioned more than 140 for operation on a variety of vessels around the world. The SeaKing Group has invested in new “high impact” electrical engineering software. The firm, which also has offices in Aberdeen, has invested in ETAP software which supports the design, simulation, operation and automation of industrial power systems. The SeaKing Group managing director Dave Gillam said the advanced software helps to drive maximum levels of reliability, safety and energy efficiency across power infrastructure. He said ETAP is qualified for use in the nuclear and military sectors, as well as ‘mission critical’ operations, opening up great potential for SeaKing to drive business growth. “The SeaKing Group’s core focus lies in marine electrical engineering,” said Mr Gillam. “Clean and reliable electric power is at the foundation of any business’ ability to offer its products and services. ETAP provides a set of core tools, embedded analysis modules and engineering libraries. This enables the creation, configuration, customisation and management of power systems. It is used in particular by the Ministry of Defence and the US Navy for short circuit calculations and ARC Flash analysis on power generation, switchboards and downstream electrical distribution systems. The software can also provide modelling of circuit breaker discrimination. Mr Gillam said a number of SeaKing’s staff had embarked on specialist training to use the software. It will essentially enable the firm to survey vessels, produce diagrams and performance calculations, including growth margin studies. The SeaKing Group is helping clients to slash energy use and costs after signing two strategic lighting partnerships. The firm which delivers electrical engineering projects across the globe has joined forces with two specialist LED lighting firms, Suffolk-based Dialight and North London-based ECOLED. The SeaKing Group business development manager Neil Mellenchip said the move would enable the firm to offer even greater value for money. A recent project saw SeaKing carrying out a lighting infrastructure investigation onboard commercial ferries in France to identify ways of driving greater efficiency and energy savings. Dialight designs and manufactures a broad portfolio of DuroSite® and SafeSite® LED luminaires for industrial and hazardous areas, suitable for both indoor and outdoor applications. ECOLED Ltd on the other hand has more than 20 years experience in Retail and Commercial LED lighting design technology. The range includes uplighters/down lighters/wall mounted/under water/strip and colour change lighting. “Many of our customers have the same requirements when it comes to lighting,” said Mr Mellenchip. “They want solutions which reduce maintenance and energy usage but also boost environmental credentials, safety and productivity. Critically, we want to provide solutions which help our clients to reduce costs and drive performance. The firm secured the Maritime Award in front of more than 450 leading figures from the regional business world. The prestigious annual event at Birkenhead School was hosted by BBC Radio Merseyside’s Roger Phillips to recognise and reward the Wirral’s best businesses and leading entrepreneurs. SeaKing Group Business Development Manager Neil Mellenchip received the award on behalf of the company alongside the firm’s finance Director Chris Dahill. Mr Mellenchip said it was a proud moment for the Birkenhead business which has delivered projects across globe in the last 12 months. Seeking has recently carried out work in the Suez Canal, Congo, Azores, Hong Kong and Malaysia,Grand Bahama, Russia and Mexico. The firm completed more than 50 contracts worldwide between 2011 and 2012 in turn growing staff by a third. Turnover is now in excess of £8m and during peak project activity it employs more than 125 electrical engineers. Birkenhead-based marine electrical engineering firm SeaKing has completed work for Cammell Laird shipyard to return car ferry MV Hoy Head to service with Orkney Ferries. Cammell Laird was employed to increase the car capacity on the vessel from 14 to 24 cars or for up to three 16.5 metre HGVs and seven cars. The work gave the vessel the highest load capacity in the Orkney Ferries fleet, adding considerable extra capacity for the Orkney Islands of Hoy and Flotta, the communities served by the Hoy Head. SeaKing Electrical carried out complex cabling work on the vessel. The project saw the ferry split in half with a new middle section inserted. This required SeaKing to cut, upgrade and reconnect electrical systems via the new section. SeaKing managing director Dave Gillam said the job required in-depth expertise and skills. SeaKing also installed a fire detection panel and removed the radio and navigation systems to allow the vessel interior to be repainted before re-installing them. The firm further fitted an auto-pilot system. Birkenhead based SeaKing Electrical has paid tribute to “true gentleman” and longstanding foreman at the firm Duncan Darroch who has died aged 42. The father-of-two from Upton died tragically in June after suffering coronary artery failure. He played a vital role at SeaKing managing teams of electrical engineers in projects spanning the globe in his 15 years at the firm. SeaKing managing director Dave Gillam said Mr Darroch made an immense contribution to the business and the team’s thoughts are with his wife Lynn, and his two children Emily and Will. “We are deeply saddened by the tragic news and we extend our most sincere condolences to Duncan’s family and close friends,” said Mr Gillam. “Duncan was a true gentleman and an absolute pleasure to work with. He played a huge role in the business for many years. As a foreman he was responsible for supervising and managing teams on site ensuring operations ran smoothly. He travelled across the world for SeaKing on a broad variety of jobs and was professional and thorough with everything he did. Birkenhead based marine engineering firm SeaKing Electrical is using its skill and expertise to save endangered sea turtles after completing a brief for a pipe laying vessel operating off the Australian coast. The Seven Seas will be involved in the Chevron-operated Gorgon Gas Project near Barrow Island Western Australia. It has recently undergone a transformation to keep in line with environmental guidelines for the area addressing one of the biggest threats to turtles – artificial light from boats. Turtles and hatchlings are drawn towards light from vessels where they are exposed to heightened danger from predators. The Government of Western Australia’s Environmental Protection Authority has produced guidelines on the amount of light ships should emit in a bid to protect the marine creatures. SeaKing Electrical Group business development manager Neil Mellenchip said the firm delivered a specialist external lighting project to help the Seven Seas adapt to these measures. The vessel is owned by Subsea7 and operates in water depths up to 3,000m laying pipe cables for the transmission of oil and gas. All six species of marine turtles found in Western Australia are listed under the Commonwealth Environment Protection and Biodiversity Conservation Act 1999 as threatened species. Mr Mellenchip said that the firm’s engineers have recently undertaken work in the Republic of Congo, France, Egypt, Hong Kong, Malaysia, Singapore and Holland. Further work has recently seen the firm delivering a lighting infrastructure project with Liet Corp Ocean LED on board three DFDS Seaways ferries. The work took place in dry docks in Dunkirk, France helping to drive life-expectancy and energy rates. “These international contracts demonstrate our ability to plan and execute complex overseas installations,” said Mr Mellenchip. “The service we offer is flexible, timely and cost effective giving it worldwide appeal. We have a workforce of more than 130 skilled technicians capable of delivering complete mechanical and electrical packages. Our core expertise lies in the construction, modification and refurbishment of electrical control and distribution hardware. We further provide solutions for system engineering, power generation, lighting and software upgrades. Aside from maintaining a strong presence in the military, commercial and superyacht sectors a core focus for 2013 will be to drive business growth and profile in new markets including the offshore renewables sector. The 12-strong group from the electrical engineering firm took on electric shocks, ice baths and bucket loads of mud in the Tough Mudder Challenge at the Chomondeley Estate, Cheshire, last weekend. They were joined by hundreds of other competitors for the event which was the third of its kind in the UK following growing success in the US. Team SeaKing completed the gruelling course in just over three hours in a bid to raise cash for the Candice Colley Foundation which supports cancer sufferers across Wirral. The charity was set up in honour of Candice Colley, of Thingwall, who passed away in December 2010 following a brave four-year battle with leukaemia. The Candice Colley Foundation is currently focussing its support on Arrowe Park Hospital, Wirral and The Bone Marrow Transplant Unit at The Royal Liverpool Hospital. Birkenhead based marine engineering specialist SeaKing Electrical has completed a major international schedule of upgrade work on Thomson’s flagship cruise liner ‘Thomson Dream’. The vessel is the largest and best equipped in the Thomson fleet. At the moment it operates on the travel specialist’s luxurious Caribbean and Mediterranean cruise routes. SeaKing Electrical carried out a complete electrical upgrade to the vessel’s beauty salon and health club areas to drive energy efficiency. It further delivered a special “mood lighting” scheme on the vessel’s leisure deck to improve passenger experience. The firm secured the deal through leading marine interior outfitting, refitting and refurbishment company Trimline. The project saw a total of eight electrical engineers delivering work in Tenerife and Hamburg. SeaKing Electrical Group business development manager Neil Mellenchip said the Thomson installation underlines the firm’s ability to manage high profile programmes of electrical works for cruise industry clients. Mr Mellenchip said work involved installing lighting, power, fire systems, data sockets, telephone lines and public announcement equipment to the beauty salon and massage rooms. SeaKing also installed LED and fluorescent lighting aboard the leisure deck. Mr Mellenchip said the upgrade work on Thomson’s leading vessel gives the firm an excellent launch pad to target further work in the cruise sector. electrical upgrade to part of the Bibby Renaissance ship. The Birkenhead based firm is a specialist in electrical engineering working across the global marine, offshore and industrial markets. It was responsible for revamping the central air conditioning plant for the 332 bedroomed vessel to bring greater control and usability. The deal involved work across ports in Kippul, Malaysia and Singapore. The work was carried out prior to the ship’s assignment to the Barrow Island offshore development. The Bibby Renaissance Coastel is moored at Barrow Island, off Australia’s north west coast. It is used for offshore accommodation and has a range of facilities including a restaurant, games rooms, gymnasiums and roof terrace. SeaKing Electrical worked alongside fellow Birkenhead and marine refrigeration specialists Brooktherm to complete the job. It involved electrical technicians Chris Potter and Ryan Millman and software engineer Tony Parr. Birkenhead based marine engineering firm SeaKing Electrical has recently completed work on a major upgrade of the Suez Canal radar system. The equipment is now in operation guiding nearly a million tonnes of cargo annually. SeaKing Electrical which employs 150 electrical engineers undertook the work for Norwegian offshore traffic management specialist Vissim. SeaKing Electrical Group business development manager Neil Mellenchip said the firm is delighted to have completed its work on such a high profile installation. SeaKing Electrical dispatched eight electrical engineers to Egypt to complete the contract. Work involved changing nine 18ft radar heads on top of 60 metre towers. The radar towers are located strategically on either side of the Gulf of Suez starting at Safaga and Sharm El Sheikh, covering 400 miles of the Suez Canal. The firm also installed internal cabling in equipment rooms of manned and remote control stations. Mr Mellenchip, whose team of engineers underwent rope access training to operate safely at heights, said the project demonstrates the firm’s commitment to win work on further international marine projects. SeaKing Electrical talks to Ship & Offshore Repair Journal about LED lighting and vessel surveillance systems. SeaKing Electrical is a leading electrical engineering firm with offices in Merseyside and Aberdeen. It offers extensive experience and expertise in electrical engineering to the global marine, offshore and industrial markets. Recent contracts have seen the firm working with ferry operator DFDS Seaways and Norway based vessel surveillance system provider Vissim. With a portfolio of work spanning the globe SeaKing takes pride in delivering the complete electrical package for the marine, industrial, commercial military and offshore markets. In the last year SeaKing has undertaken a broad range of electrical engineering contracts for commercial ship operators, working in shipyards across the UK, Europe, Asia and the Middle East. These roles have included work on a variety of vessels including super yachts, dive support vessels, ferries, tug boats and tankers. The offshore market remains a key target for the firm in 2012. Its broad range of construction, conversions and refurbishment solutions is backed by a 125 strong specialist workforce and an expanding apprenticeship programme. The firm’s driving ambition saw the completion of more than 50 contracts worldwide in 2011 and it expects to increase turnover by 40pc in 2011/12. A current on-going electrical repairs contract with Liet Corp Ocean LED involves the replacement of existing lighting infrastructure on board three DFDS Seaways ferries. The work, taking place in dry docks in Dunkirk, France, will see SeaKing installing LED lighting in restaurant, passenger and accommodation areas. Key benefits of the fittings include long life-expectancy rates and ultra-efficiency delivering energy savings of up to 90 per cent. SeaKing’s expertise in building and repairing electrical and electronic systems has been reinforced by its partnership with Vissim. It is now looking to market this expertise within the marine communications sector. SeaKing is recognised as a UK assembly location and manufacturing hub for Vissim’s VTMS (Vessel Traffic Management Surveillance) systems. It has been working with the Norwegian offshore and coastal maritime surveillance outfit for the last five years. This arrangement has involved Seaking’s communication specialists and apprentices travelling to Norway to gain comprehensive training and accreditations in Vissim equipment. Mr Mellenchip said SeaKing manufactures and repairs VTMS system racks containing power supplies, radar, AIS, VHF and computer equipment. It also assists with installation and offers a ready supply of technicians to carry out work internationally. Mr Mellenchip said: “The work involved with the Vissim partnership is highly specialised. It is therefore crucial that our technicians receive the right qualifications and training to work on the VTMS systems. This equipment is highly tuned and plays a vital role in vessel safety management. The manufacturing process is therefore a hugely responsible role. We have made significant investments to ensure our staff have the necessary knowledge and expertise to carry out the work with speed and professionalism. It is also critically important to us that our younger generation of recruits, in particular apprentices, have the key skills needed to carry out this type of work into the future.